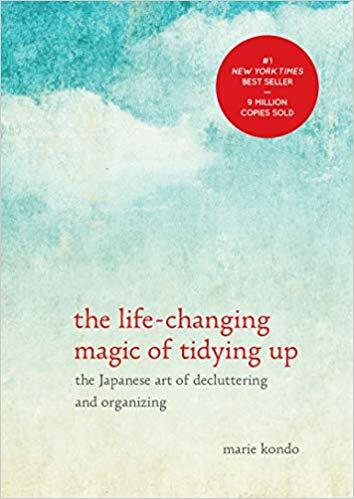 Although several years have passed since Japanese home-organization guru Marie Kondo published her book, The Life-Changing Magic of Tidying Up, interest in the “KonMari” method of de-cluttering shows no sign of waning. In fact, Ms Kondo is enjoying yet another wave of popularity — and controversy — since the release of her Netflix series, Tidying up with Marie Kondo. Over the years, like many folks, we have acquired… stuff. Furniture. Large and small appliances. Sports, lawn, gardening equipment and supplies. Books, toys, games, movies, and music. Household supplies and toiletries. Clothing. You know the deal. Lots and lots of stuff. How to scale the mountain? I am exceedingly well-organized, tidy, self-disciplined, and efficient. 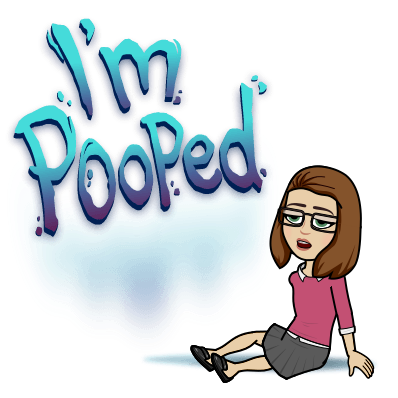 I’ve made my bed every morning; not left clothes on the floor; folded and put away laundry every Saturday; and helped my son to pick up and store his toys. I’ve always used “ROYGBIV” (the rainbow color spectrum) to hang my shirts, skirts, dresses, and blazers. I have adhered to a consistent housecleaning schedule. The papers and bills on my desk have always been neatly sorted and organized. I’ve tended to tidying my house at the end of every day. As a result, our house has always remained fairly neat and well-organized. But our closets and cabinets were full. The basement was over-crowded, and there was no room in the two-car garage for… well, cars. I knew the solution! We needed a better way to organize; as well as more closet organizers, file cabinets, and much more closet space. More drawers. More bins and baskets and cubbies and shelves. This “need” for better organizational tools resulted in perpetual trips to Target, Homegoods, and Costco, to find and purchase more (and more) organizational systems. And yet, despite my tireless efforts, we never managed to have enough space! Plus, I kept buying doubles and triples of items, unintentionally. For example, one day, I bought a 6-pack of toothpaste from Costco, only to return home, and discover that I already had an unopened 6-pack at home, in the back of my (very well organized) linen closet. Arrrrgh…. Little by little, I began to notice a mental background noise of annoyance, whenever I entered my home, especially after shopping. Putting away groceries or other household supplies became a chore. Retrieving necessities caused even more ire. It was if my belongings had been owning me, instead of the other way around. I complained that our house was too small, and that we didn’t have enough closet space. I started to resent the house, and considered upsizing to a “better” home. Unfortunately, such a move was just not feasible. And then, I found myself wanting… less. Not exactly a “minimalistic” life… just less. The minimal and tiny house trends didn’t really appeal to me. I didn’t believe that ridding myself of nearly everything would resolve the undercurrent of annoyance and dissatisfaction that I had been feeling, about my home. I didn’t necessarily want to “purge” (what an unpleasant word!) my belongings. Instead, I wanted to feel less encumbered. Free. Relaxed. Satisfied. Content. I came to the conclusion that my super organized and tidy methods were no longer serving me. I needed to find a better system. Who is Marie Kondo & what the heck is KonMari? These days, Marie Kondo has gained a tremendous amount popularity (and notoriety! ), but when I first set about finding a better system to declutter, she was less well known (in my social spheres). I stumbled upon her name, method, and book during a few internet searches. After reading several online articles, and scanning numerous favorable book reviews, I ordered her book from amazon. Ms Kondo’s words are direct, ungarnished, and completely devoid of clutter. She conveys authenticity and humility, and yet unabashed confidence. I devoured the entire book in one day. Her philosophy and system struck intuitive (and scientific) chords within me. I felt eager to get started. Before we learn about the KonMari method, let’s take a look at the person behind the phenomena, by viewing the trailer for her popular Netflix show, Tidying up with Marie Kondo. Gather every item in a given category. Yes – every. single. item. Pile everything that you have gathered in the category on the floor in one room. 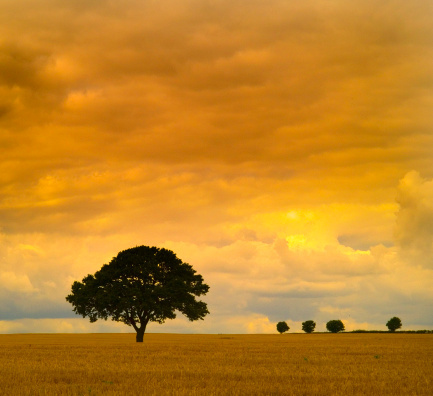 After you’ve gathered everything, ask yourself if you have remembered everything. You will probably realize that there are more items, tucked away somewhere. Continue this process, until you feel reasonably sure that you have gathered every single item. Not really a second step, but I promise, this will happen: Gasp as you realize just how much crap you actually have (and how unnecessary it is, to own so much). Make up your mind that you are about to throw every single item out. This is important. You will approach what to keep, after you have decided that nothing will stay. One by one, pick up each item, and then hold it in your hands (you can even bring the item to your “heart” space). Ask yourself, “Does this spark joy?” If the answer is YES, the item stays…if the answer is NO, the item goes. It is that simple. You will immediately know the answer for at least 95% of all items. You will feel it. For the items that do not “spark joy”, you (might) say, “Thank you for your service,” and gently place it aside. If you are feeling a MAYBE, put that piece aside and return to it when you finish the rest of the pile. The process will become easier as you progress. Listen to yourself. Trust yourself. Keep other family members away when tidying, as feelings (nerves) run high, when a family member is around. Only focus on your own personal belongings. Don’t try to “get” someone else to “KonMari” their belongings. “KonMari” in complete silence. No music. No background movie or TV show. This makes the KonMari method intense, and yet – incredibly focused and efficient. 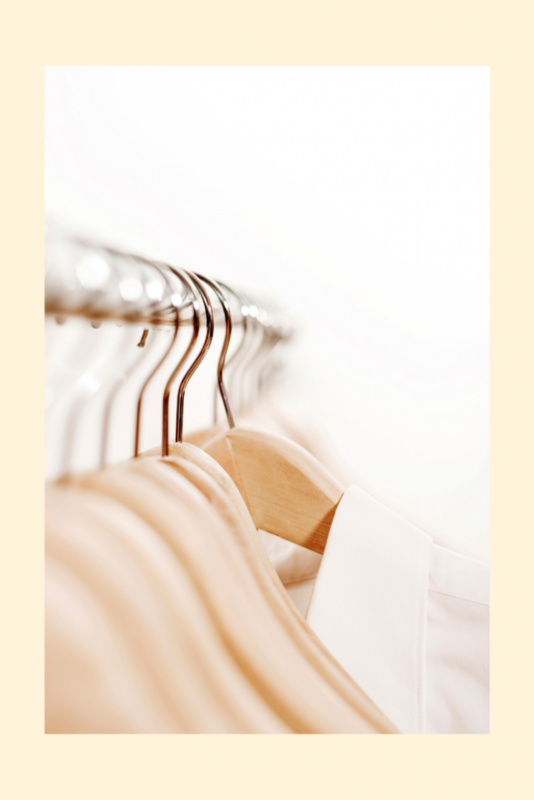 After completing categories, Ms Kondo provides clear and concise directions on how to store all of your belongings in a way that makes them very easy to access — but more importantly, easy to put away. More on that, in a later post. 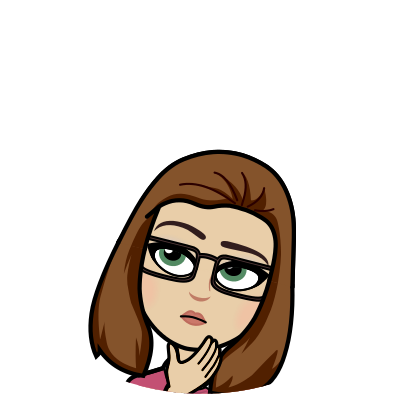 The week prior to embarking upon my own KonMari journey, I read every blog that I could find; and then I re-read through the first few chapters of the book. The first challenge that I faced was Ms Kondo’s recommendation to complete the process in one fell swoop. Not going to happen, my friends. Many of us work full-time jobs. For parents, we deal with the seemingly endless amount of responsibilities of taking care of our children, teens, and/or teenagers. Therefore, it is simply not realistic, to finish this entire process in a short time frame. As a result, I made the decision to fit in what I could, on weekends. I created a detailed checklist to help me break down the… ahem… the massive KonMari categories, into manageable sub-categories. 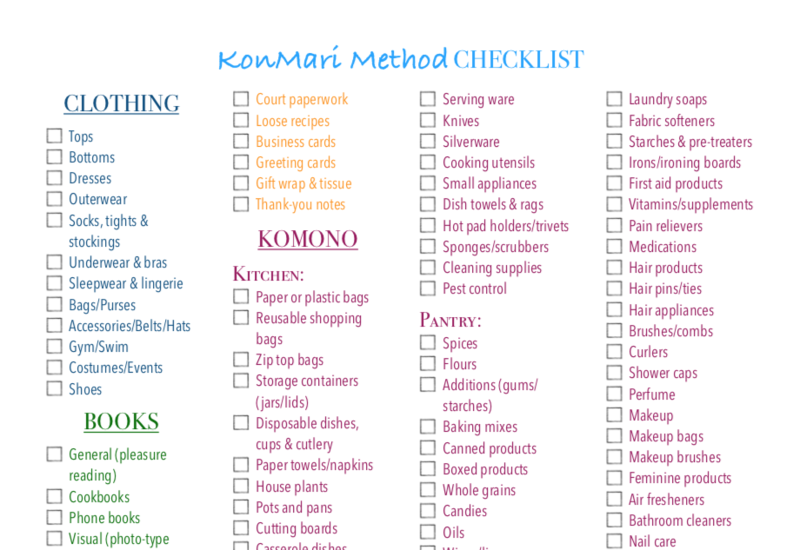 Click to receive this FREE (2-page), highly detailed & comprehensive KonMari Checklist. That’s all, for now, dear blog readers. I hope that you enjoyed reading this post! 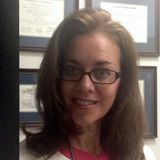 Dr Dixon is a licensed psychologist practicing in New York State. Her contagious enthusiasm for sharing the science of health & behavior has earned her the nickname of “Dr. Smiles.” Dr Dixon also finds joy in motherhood; travel; outdoor sports; singing; piano; and cooking delicious (vegan) meals. Purchase links provide a very small commission, without any additional cost to you.